Drama for Success hosts Anti Violence Awareness Day. 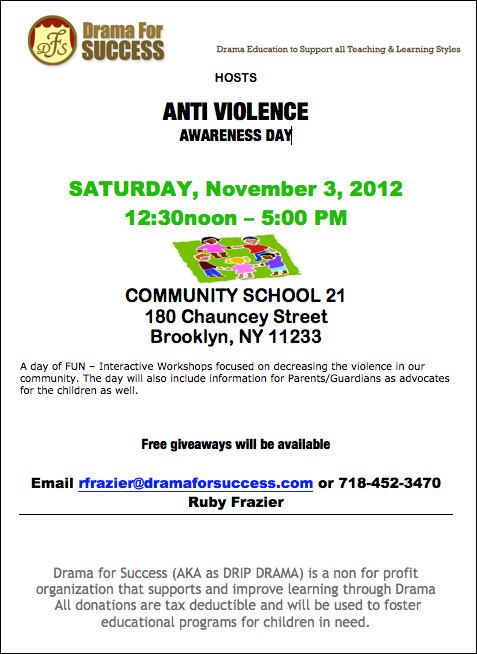 A day of FUN – Interactive Workshops focused on decreasing the violence in our community. The day will also include information for Parents/Guardians as advocates for the children as well. Free giveaways will be available.